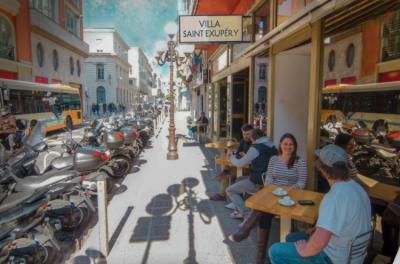 Nice – Hostels in Nice. Maps for Nice, Photos and Reviews for each hostel in Nice. 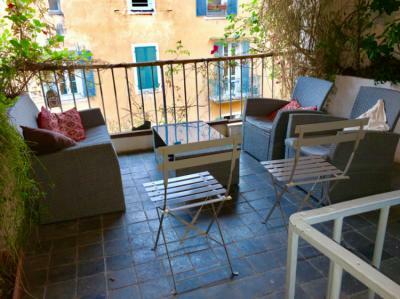 Looking for a hostel in Nice? Look no further, all the good deals in Nice are on Dorms.com. Like thousands of other people every month, book your hostel securely at the best price in all neighbourhoods of Nice. On this site, you can easily find a hostel downtown, in a trendy neighbourhood; a hostel in the student- university district, close to bus or train stations, airports or major attractions of Nice. The Riviera is an outdoor activity hub. For night time action join one of our Parties at the bar. We have 24hr security and there’s no curfew or lockout. Located in Nice city center, close to old town, only 500m from the beach and 200m from "Place Masséna"
Very good reception and information on the city. In the dorm, very good atmosphere with Americans and a Japanese. Hostel very clean and well secured. It lacks lockers in the rooms anyway (which would be cool: 1 bed = 1 locker). A perfect place for young people on a discovery trip and also for older people in transit A compliant hostel, clean with a very warm welcome and smiles! Located in Nice, Hotel Antares is a 15-minute walk from the beach and 170 m from "Nice Ville Train Station". This property is 8 km from Nice Airport and 800 m from Notre-Dame de Nice Basilica. The A8 motorway is a 10-minute drive away. This is our guests' favourite part of Nice, according to independent reviews. we have lot of clubs and pubs in the old town. Secured hostel, very well located and good atmosphere assured.